I feel overwhelmed by busyness like traffic and crowds. The movement and noise is overwhelming for me. I tend to avoid these situations. We’re creating an online platform where autistic people, family members and carers can share how sensory processing affects their daily life. We'll use this information to make environments such as schools, workplaces and leisure facilities more accessible for autistic people, and to educate the public. Autistic people often experience differences in the way they process sensory information, such as sound and light. This can have a big impact on many autistic people’s day to day lives. We’re working with The Alan Turing Institute and the autism community to create the largest ever collection of these experiences. Around 2.8 million autistic people and family members could take part in this project. Autistic people want to take part in research - they all can with this project. In 2016, we asked over 1,000 autistic people, relatives and carers for their top research questions - understanding sensory processing was one of their top ten questions. Sensory processing differences can create stress in certain environments and they can stop autistic people going places or doing things they want to do. To help understand the effects of sensory processing better and remove some of these barriers, we need to collect more information from a large number of people. We aim to build an online platform where people can enter their experiences of navigating the world, which we will collect as a large set of data. This is a participatory research project. This means that people from the autistic community will be involved throughout not just as research volunteers, but as decision-makers, and researchers. We have setup a 'steering group' who will shape the project. This will also be a citizen science project: we will recruit non-professional scientists to help directly with the research by providing their information and feedback. We will build the platform as 'open source'. This means that all the code we create to build the platform can be freely changed, shared, and built on by anyone, without charge. This will encourage more great citizen science projects in the future. We will also open the project to volunteers from anywhere in the world through our repository on GitHub: an online space where anyone can help us to create and improve code for the platform. Many autistic people feel that research happens without them. This project aims to empower autistic people as co-creators. Autistic people will be involved at every stage; setting the direction of the project, shaping it and acting as authors in the final research papers. We will focus on challenging environments that come up in the information gathered. We will work with organisations and policy makers to improve the challenging environments identified in the project. This will change environments to suit autistic people's needs and preferences and educate those who know little about autism. This project is supported by Fujitsu. 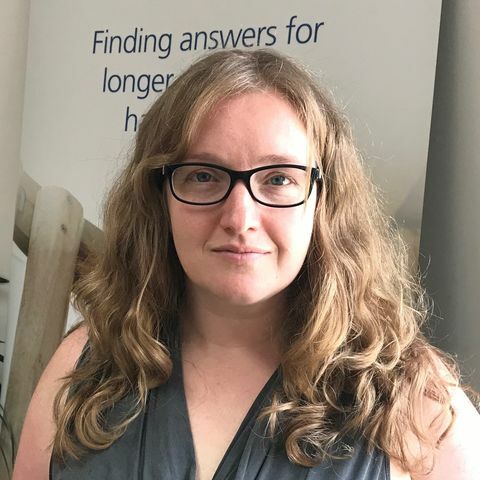 Kirstie Whitaker is a research fellow at the Alan Turing Institute and senior research associate in the Department of Psychiatry at the University of Cambridge. Her work covers a broad range of interests and methods, but the driving principle is to improve the lives of people with mental health disorders. Kirstie is a passionate advocate for making science "open for all" by promoting equity and inclusion for people from diverse backgrounds, and by changing the academic incentive structure to reward collaborative working. You can find more information at her lab website: whitakerlab.github.io.